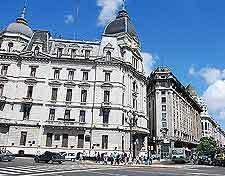 Argentina's capital city is a bustling metropolis, offering an eclectic mix of Latin charm, history and heritage, modern amenities and wonderful tourist attractions. As Buenos Aires is the third-largest urban area in Latin America and boasts a population of around 13 million, you can be sure that this is a city that's rarely quiet or dull, with attractions to suit all tastes. 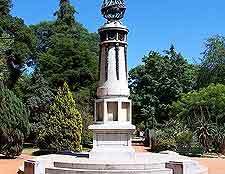 Whether you're young, old, independent or with family, there's no shortage of things to do in the city of Buenos Aires. 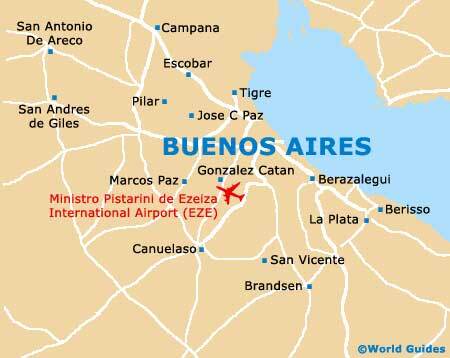 Sightseers will love the splendid Casa de Cultura and Palacio de Gobierno, nature lovers the lush Botanical Gardens, and family visitors the exciting attractions at Buenos Aires Zoo, which include everything from elephants and rhinos, to giraffes, lions, camels and polar bears. This popular zoo is home to more than 350 different species of animal, among which are 175 bird species, around 50 reptile species and nine mammal species. Buenos Aires Zoo is an especially family friendly attraction, with conservation as its primary agenda. Food for the animals can be bought at various locations in the park and visitors are permitted to feed certain species at various times of the day. 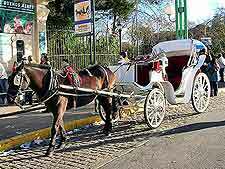 Located within the Palermo district, to zoo covers just under 50 acres / 20 hectares and makes for a good day out. 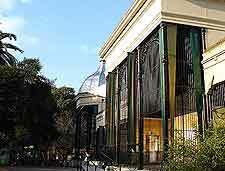 A must for nature lovers, Buenos Aires Botanical Gardens are a mix of open green spaces and indoor plant displays. The central greenhouse is the chief indoor facility and contains plants collected from Argentina, other South American countries and destinations across the globe. The garden's grassy areas are ideal for enjoying a picnic on a sunny afternoon. 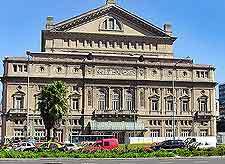 The Colón Theatre is the southern hemisphere's second-largest theatre for the performing arts, after the Sydney Opera House. This theatre was built in an Italian Renaissance-style around 100 years ago and was designed by Italian architect Francisco Tamburri. Guided tours of the theatre are available. Inside, the auditorium is capable of accommodating audiences numbering almost 2,500. These two historic attractions are separate, but can be visited together as part of a single tour. The Casa de Cultura is a splendid grey granite building that once housed the La Prensa, the country's most important newspaper at the time, while the Palacio de Gobierno is a white neo-Classical building that serves as the new City Hall, from which the mayor of Buenos Aires conducts official city affairs. 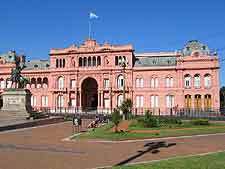 This official residence of Argentina's president was built originally in 1580 and has since been renovated and remodelled on numerous occasions. The current building features a pink exterior (its name translates as 'the pink house') and is an amalgamation of two adjacent structures. Inside La Casa Rosada is an interesting museum, which houses a collection of artefacts that were actually possessions of the country's former presidents.